Home Learning Center Basics Solar Panel Array: what is it and common sizes? Solar Panel Array: what is it and common sizes? A Solar Panel Array is a group of solar panels that are connected together, collectively converting solar radiation into electricity. What sizes of solar panel arrays are common? Sizes can vary from two small solar panels connected in a string to a MW power plant. Typically they are composed of one type of solar panels, as this is the optimum configuration. How are solar panels connected? A solar panel array is a string of solar panels connected in series. 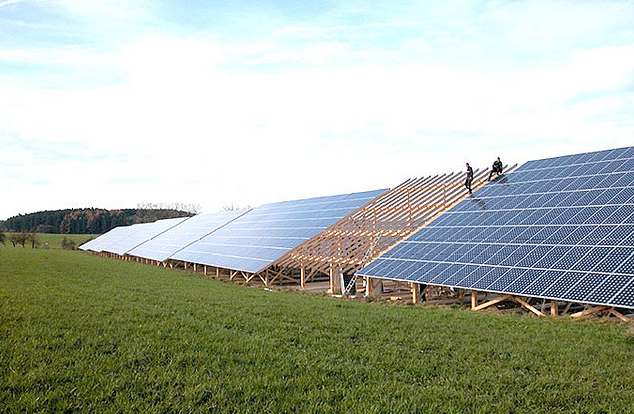 The solar panels are usually connected with solar cable and MC4 connectors. The maximum number of solar panels per string depends on the actual input voltage of the solar inverter. Usually not more than 20 solar panels are connected in one string, even though the latest solar inverter models allow more solar panels to be connected per string.